Beagle on the floor near the old fireplace . 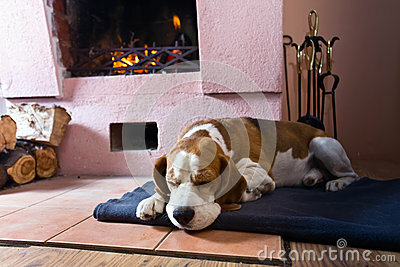 Beagle is resting on the floor near the old fireplace . Fireplace with burning wood .